Discussion in 'Road Racing Forum' started by Apex3V, Jul 14, 2018. Hello all, I've been a long term lurker here and decided it was finally time to share my experiences and progression with my car and performance driving efforts. The goal for the car is to eventually become a dedicated race car in either the Spec iron/ American iron series of Nasa in the southeast region. I am located in Charlotte North Carolina and have a handful of tracks in neighboring states to choose from. I have grown up a race fan mainly watching Nascar as I'm in the south and as you could imagine its fairly popular here. I've been getting more involved with road racing and educating myself with the racing form as compared to Nascar. 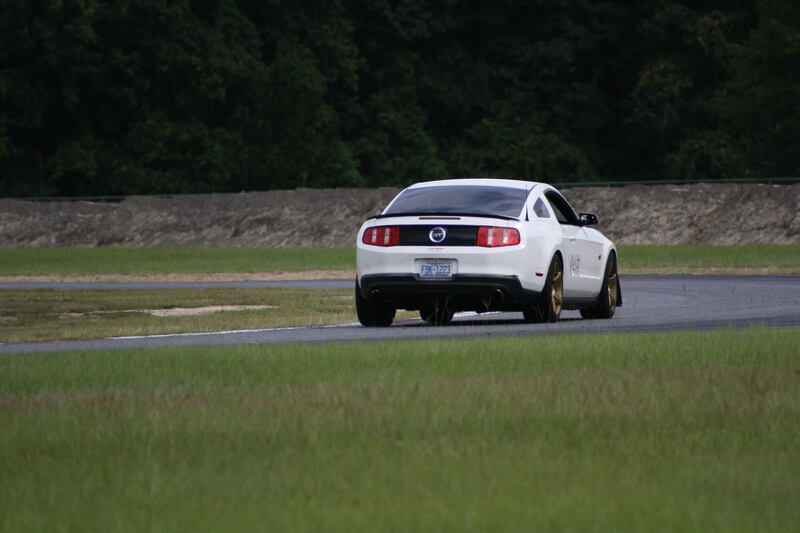 The car is a 2010 Mustang gt premium that I picked up used from Atlanta in September, about a month into owning it I attended my first ever HPDE at Carolina Motorsports Park with the Carolina Regional Mustang club for their 2-day driving school. As a beginner I was excited to finally get to experience driving on a racetrack as I had been watching it for many years as well as playing countless hours of Forza Motorsport. I drove 4 sessions worth because I could only attend for one day but those 4 sessions taught me a lot about myself as a driver and the car itself. The novice group I was in made me feel like a better driver than I believed as I was getting pointed by from cars I had no business passing. I'm trying to learn on the stock equipment as well before I sink huge amounts of money I don't have into it trying to improve on what I don't know about or think I need. One of the first things I'm trying to focus on is making myself more comfortable driving in a performance environment. Some of the ways I have tried to do this is by buying a few racing goodies from OMP and some better pedals to assist in my heel-toe. I found a seat on craigslist for a deal about 2 hours away which turned out to be one of the best things I've done to the car so far. 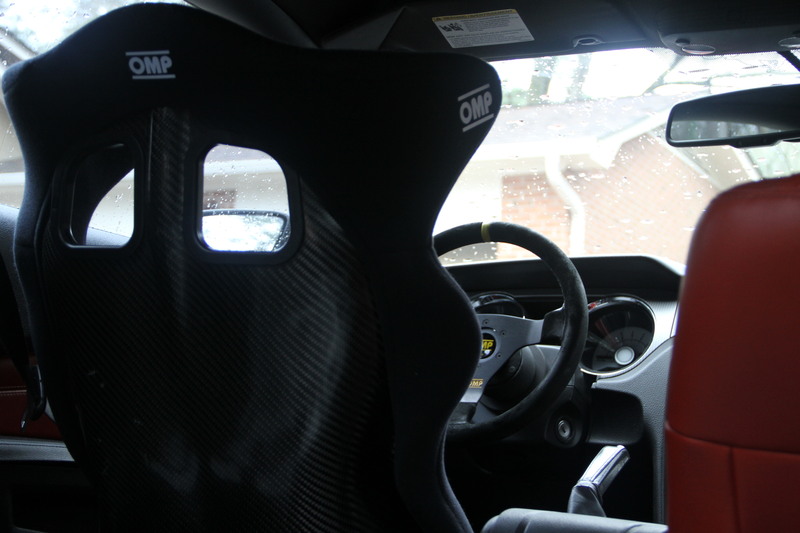 It's an OMP HTE Carbon, it weighs in roughly at 13.5 pounds which compared to the behemoth of a drivers seat I had before. I saved over 40 lbs from that adjustment and have felt more confident taking corners with it than subconsciously bracing myself to the door. 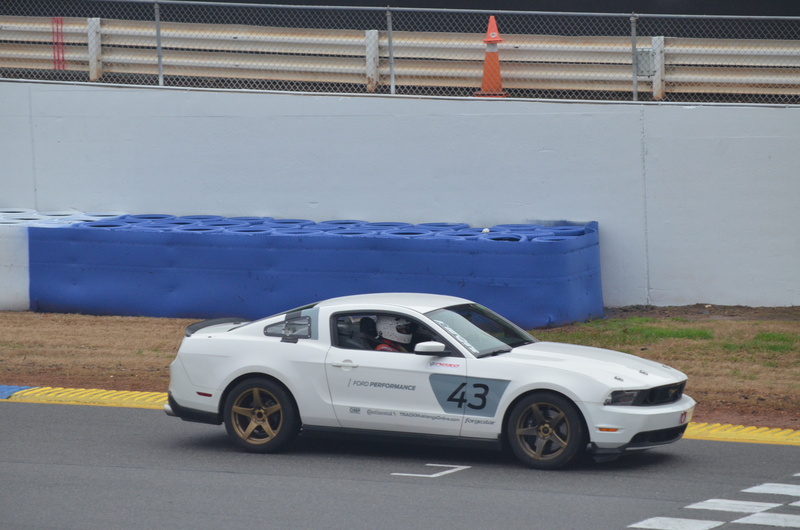 Fast forward a few months and my third gear synchronizer is out and I was under pressure to fix it before my next planned event which was the Charlotte Motor Speedway Roval with the SCCA's Track Night In America. I did the math and It would cost about the same to get the trans. rebuilt and put back in as it would to buy a trans. online and installed. I had finally got the trans. put back in barley before the next event (roughly 4 days before) and man was I happy to have that gear back. My second event was finally going to happen, the CMS roval; I was very excited as I've seen tons of races here in person and on TV. I signed up for this event entirely too late with only 3 days before it was supposed to happen. I was wait listed online but I still had hope. I get to the track that day not really knowing what to expect but I still have everything needed given if I was able to drive it or not. when everyone was signing in I explained how I was on the wait list and the man at the table had me wait for a little bit. give about 20 minutes and he starts calling names of people ahead of me and I'm holding on, hoping to get the opportunity to drive on track and sure enough I got my chance. The run group was pulling onto the track soon after and I was apart of it. 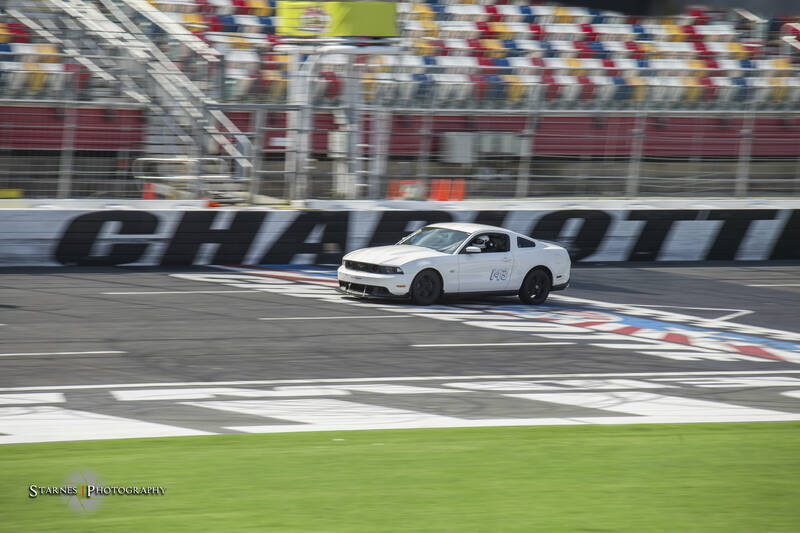 The infield was very fun and simple enough to navigate and the Nascar turns were exhilarating, I was going the fastest I'd ever gone so far and after each session I would just be amazed it even happened. This was my first time at an event where I was more data driven as far as logging my lap times and watching my tire pressure. There are plenty of plans for this car through out the future and I'll try my best to log it here for everyone to read and give their input on. I love this forum because of all of the real information and experience here along with some of the amazing people that make this place one of a kind. Bill Pemberton, Fabman, TymeSlayer and 5 others like this. Welcome to TMO and @Grant 302 is an expert at spending OPM (other peoples money). Most of us (all of us) started where you are and we're glad to help out when we can. Making your car safe on track should be a top priority as sh!t happens on track and we don't want anyone to get hurt. Have fun out there! Great write up and great attitude. Welcome to TMO. I wasn't even planning on running that day and was going to watch a couple of friends run. ...but I hardly think of you as a 'lurker'! Some of my real life friends just read...some don't even sign up. I recognize your handle and you've posted some already... Well, @Apex3V, welcome down the slippery slope! I suspect he already knows! @VoodooBoss Thank's rick, this site had been amazing to me since I found it and I've learned a ton from it already. Making it safer is definitely one of my top priority's for the car. Thank you, @captdistraction and yourself have great write ups and I've tried to take some inspiration from them. welcome down the slippery slope! The two things most overlooked are safety and seat time. If you can get seat time with a competent instructor (thanks bill) that’s even better. The driver is the most adjustable component of the experience. After safety, spend on seat time. Safety also blends over to good brakes, wheels and tires. Make sure these are sound then drive what you have until there is little room for improvement. Then bust the bank account.....once. A shelf full of OK parts which replaced better parts is not the way to progress. Welcome to the site. Enjoy the sport. Be safe. drano38, ArizonaBOSS, VoodooBoss and 1 other person like this. I'm in High Point, and we need to get together sometime. This Saturday (7/21/18) at zMax is a CCR Autocross. I'm thinking of heading down, and we could chat there. PM me if you're interested. Hello all, Over the weekend I headed down to Georgia for my first event with NASA at Roebling Road Raceway. 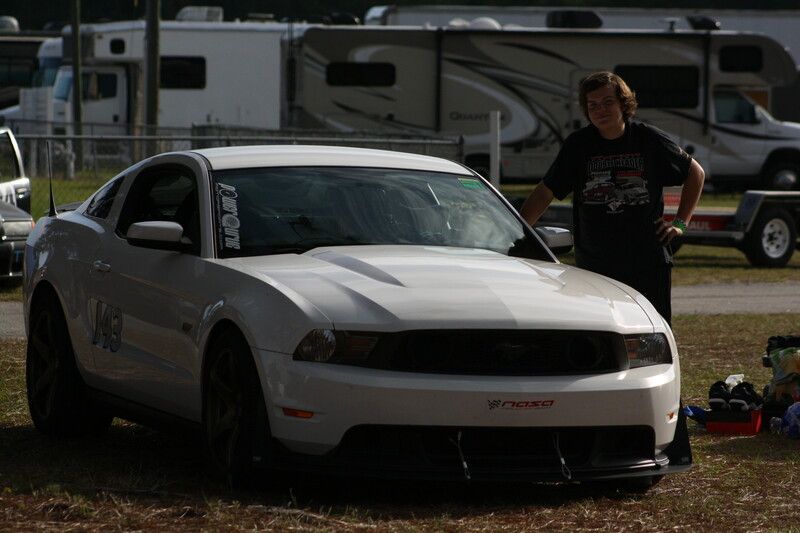 This event was my first on the new Wheel/Tire/Brake setup and also my first NASA sanctioned event. 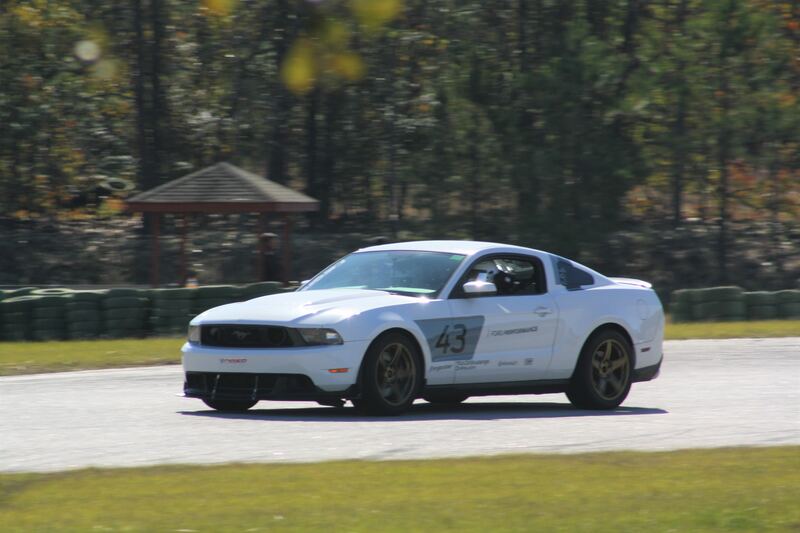 I started in HPDE 1 and was assigned an instructor for the weekend and had to go to classes in-between sessions as well. My first impressions with the track were very different than the expectations I had for it from watching videos of it online. It was a very fun and fairly fast track that was easy to learn on and easy to experiment with. This was my first event with Data Acquisition as well using Harry's Lap Timer on IOS and I'll say for a twenty dollar app it did a good job at providing me with the basic information I was wanting for this event. I definitely see myself stepping up to an Aim system in the future but for the basics it is fine. 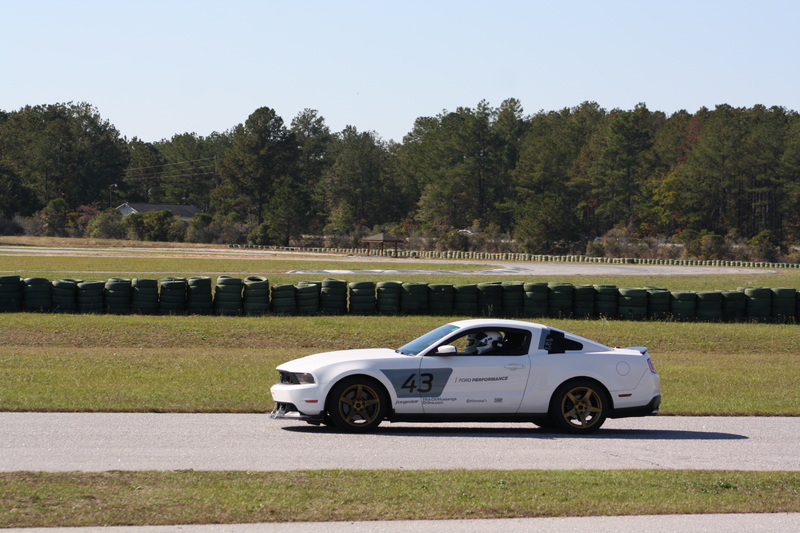 At this event I was also exposed to some of the more serious track mustang's in the region with numerous spec iron racecar's and 3 of the new FP350s' and was really impressed by the raw performance that these chassis can deliver with a little bit of work. seeing the different races throughout the weekend was also fun, seeing how the different classes raced and treated the track was informative as it was entertaining. The new setup is a huge step in the right direction, I was able to carry more speed throughout the corners and stop a lot sooner and more consistently. I noticed the entire weekend just how much more confidence I had in the car given the grip I could feel. my final session was in the wet which was my first time ever driving on track in those conditions. Overall It was a weekend full of first's for me and being around a very welcoming and helpful sanctioning body helped make the experience even better for me. I plan on attending more events with NASA and trying to move up the ranks of their HPDE and see where that leads me in the future. but for now I'll keep trying to get better and just have some fun . PLexo50, TymeSlayer, ArizonaBOSS and 2 others like this. 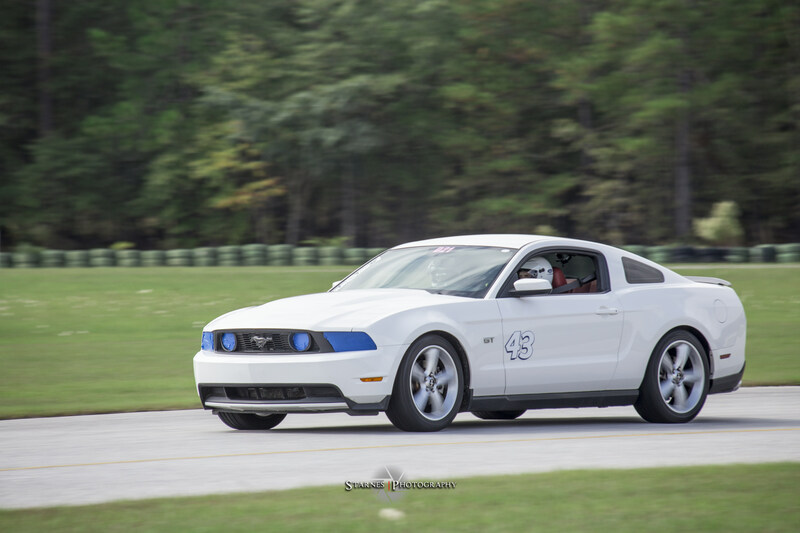 To continue my learning and progress from my previous event at Roebling Road Raceway, I signed up for the next NASA sanctioned event at Carolina Motorsports Park in HPDE 1. This would be my second time out to this track which was good for me at this stage since I wouldn't have to learn the track as much and be able to focus more on becoming faster as a driver. At the time of registration I requested to have the same instructor I had from the previous event since he was very informative/helpful and so that I would have someone who was already familiar with the car and myself. On the first day of the event, I was excited and somewhat anxious to get back out on track. I was wondering how I would preform on a place I'd already been and was trying to drive the track mentally for the past couple hours to try and work my memory. As soon as I hit the track in the first session and turned a couple of laps I realized everything was going to be much different than I had pictured. I learned more about driving the track smoother and more consistent to become quicker which is something I've always known from my earlier days of playing Forza that I forgot I could translate to real life. As the weekend progressed I pushed to become much smoother and adapt my current line to any changes that proved to be a plus. I reviewed my lap times after each session to see where I was quickest in each section of the track and try to create "the perfect lap" for the next time out. I would consistently chip away at my lap times and noticed I was actually starting to run consistently close lap times whereas before my times would vary by larger margins. In my first time out in 2017, my best time on record was a 2.11.83 which isn't really good but I realize I wasn't going to go out on my first try and break any records. This time around my best time was a 1.59.01 which was a HUGE improvement shaving off over 10 seconds. 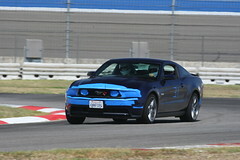 A fellow 3v mustang ran a 1.55 so I at least knew I wasn't terribly far off with my car and driving ability. 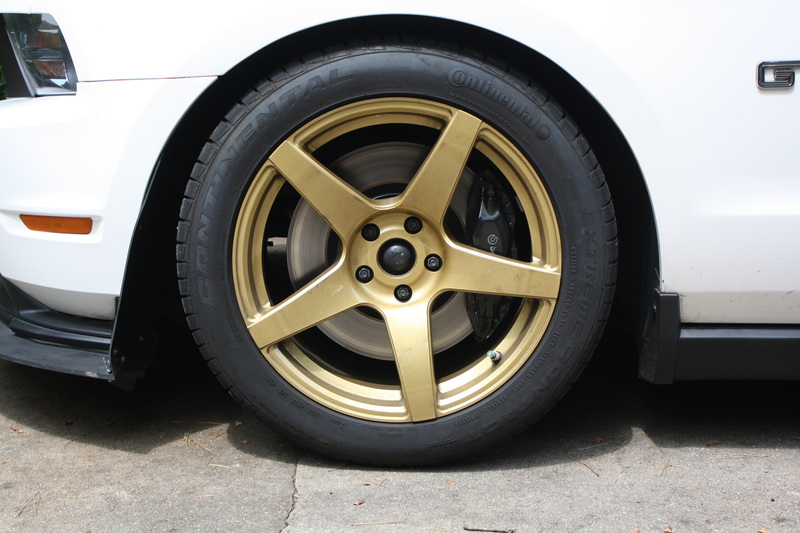 I did chalk up a big reason for such a drastic change was the wheels/tires since I could use the car to do new things. After this event I will definitely be upgrading the whole brake system to become better suited for brake heavy tracks. After the first couple of laps, once I would start to really push them I would get about 2 good laps in before they'd fade and result in making me brake earlier for the duration of the session. TymeSlayer, VoodooBoss, ArizonaBOSS and 3 others like this. Great write up. I too am crawling up the HPDE latter with NASA and gotta say, great guys and good instructors. I once had an instructor out of the land of corn and he wasn't so bad either. Learning to pick up speed by relaxing and running smooth takes some getting use to but it does work. PLexo50 and Apex3V like this. Been a very productive off-season, installed and uninstalled various pieces over the last 2 months in preparation for my next event. installed ford racing's brake cooling kit (thanks Montana Milk), sway-bar kit M-5490-A and fr500s hood pin kit. Also installed an MGW shifter, Pypes off-road x-pipe, and some trunk latches. Along with these additions I also made some subtractions by removing the remainder of the trim, door cards and radio system leaving just the dashboard. Plan on removing the heat and air but don't have the time to pull the dash off right not. I'm excited for another great year of learning and progressing with NASA and to see everyone's progress throughout the year. TymeSlayer and PLexo50 like this. This thread is relevant to my 3v interests. I had a harebrained idea for a brief time to find a really cheap 2010 GT and swap all my parts over to it just so I could use all the Boss 302S aero parts on it. Then I remembered that I'm really lazy and wouldn't want to try and dispose of a junked up 2007 Mustang shell. Grant 302 and Apex3V like this. I'm sure a salvage and good bodied 2010 v6 could be obtained rather cheaply and parting out the majority of what you don't need could recover some of the funds. I was originally going to do a bunch of aero that would fit into the NASA AI rules but goals changed a little bit so I back pedaled on that plan. Me personally if I had an 05-09 I'd do the fr500s appearance/Aero even though it is getting expensive and hard to find. Anyways, best of luck to you. Always nice to see another 3v. I like the sticker setup you have too! Thanks, Definitely don't miss the splitter I had as far as my ground clearance is concerned. I look forward to seeing more about your car when you get back home! 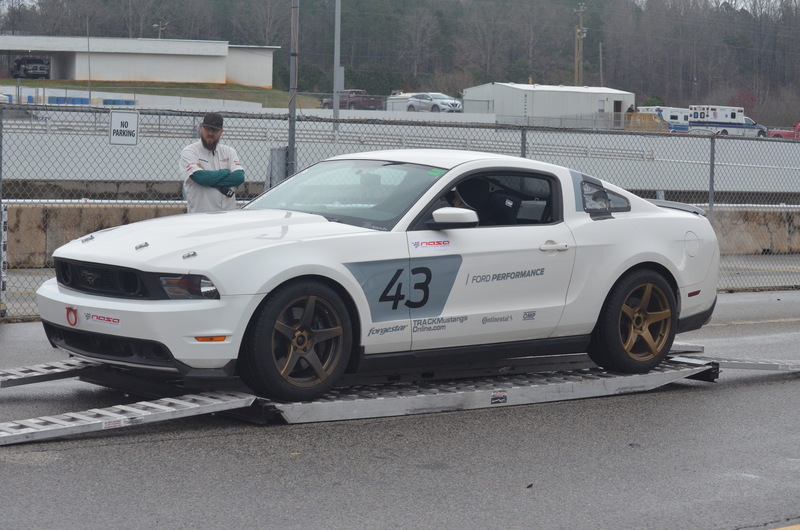 After a short and productive off-season it was time for my HPDE season opener at Road Atlanta with NASA. This was my first time at this legendary racetrack and from what everyone had told me it was going to be fun. To prepare for this track I watched a couple of track breakdowns and logged hundreds of digital laps trying to get a basic line prepared for when I would go in person. 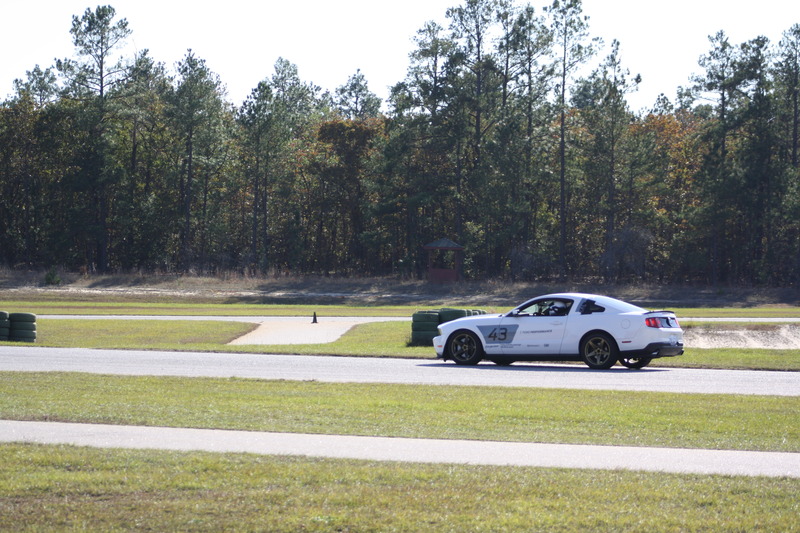 When I signed up for this event I requested that my instructor be one who was more familiar with mustangs and to say the least they hit it out of the park. On Saturday I arrived at the track and went through the normal routine of pre-event meeting and tech and met my instructor. I found out shortly after it was fellow TMO member @Duane Black and I knew I was in for a good time. This weekends weather was inconsistent as the beginning of each day was wet and throughout the day it would become dry. This proved to be a great opportunity for learning the limits of the car and where you could put the car on the racing surface. The wet surface helped me develop my throttle control further and explore the limits at a much slower and more controllable speed(Explored a little to much once!!). Duane took me for a ride-along twice over the weekend in his HPDE4 sessions and I've got to say he showed just how capable an s197 really is. I got to ride shotgun as there was a decent amount of close, contact-free driving taking place which really gave me a small taste of what it would be like eventually inside the pro-racing ranks with the Spec-Iron series. He taught me very well on how to drive the track and gave me a ton of new skills and confidence to develop along my high performance driving journey. TymeSlayer, JeffV8 and ChrisM like this. Great write up and love your enthusiasm and attitude. When I read earlier you were running out of brakes , it was great to see you upgraded your GT with brake ducting. My question, as you mentioned you were upgrading your brake system, was have you changed the fluid and gone to a high temp fluid? Actually equally important, have you switched to a much higher temp G-Loc pad up front, as an R6 I would only suggest for the rear. Danny , at G-Loc, just North of you in Mooresville, often recommends at least a R12 up front, though many of us heavy brakers will use the 18s. You might be able to pop up and see their shop , he and his brother are good guys. Keep posting your progress, as fun for many of us , as your humble attitude is contagious. 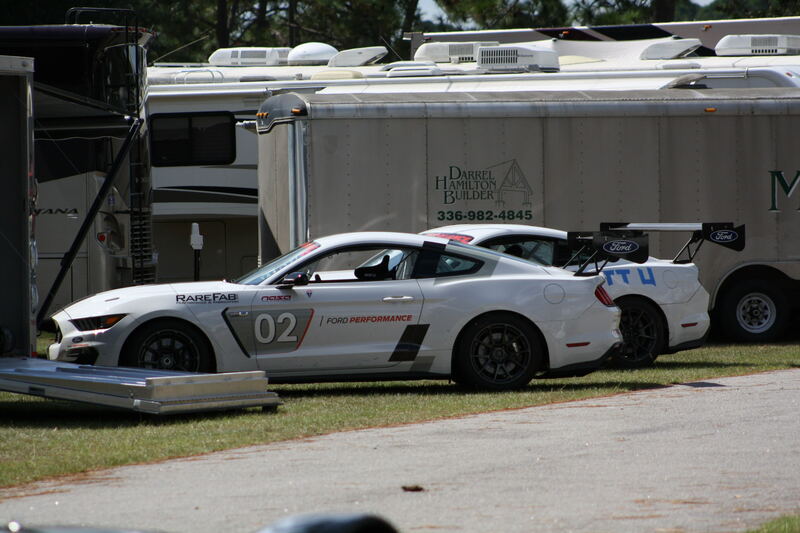 Best of luck from another White Boss 302 owner. Thanks bill, I've always thought your attitude will affect your progress and being humble will keep you approachable. I've already upgraded the fluid to ate typ 200 dot 4 fluid, once I'm out of this I'll probably move on to the castrol srf. I've also moved away from the r6 on the front to a sliltly different temp range r8. I've been ordering from the moorseville location since I got my first set and I usually get them within 3-days and they're always very friendly and helpful. I'll have to look into seeing if I could look around there shop. Ask for Danny Puskar next time you call there, and others can jump in ,but I would consider moving up to at least a R12 up front --they should last longer too. Bunch of guys on TMO from NC, you guys should all consider getting together to meet and see if Danny would set up a tour of his shop for everyone?